Currently the Town of Newtown works through its commission on aging, senior services department, social services department and specifically through the town municipal agent to provide services to seniors in Newtown. The senior services department operates a senior center which provides extensive programming for seniors. In addition the senior services department works with local businesses and the police department in a Triad program which provides education and support in connection with fraud. All of the above named departments and commissions work to provide disparate services including meals on wheels, congregate meal sites, transportation, fuel assistance, housing issues and nutrition support. Newtown is undergoing change as the population shifts toward older age groups. It has become apparent that renewed and more coordinated efforts are needed to meet the needs of a growing senior population. To that end the town is committed to increasing communication and cooperation between, and among, town resources as well as non profit, for profit, general service and religious organizations. The town also has a commitment to senior housing, affordable housing, tax reduction programs and walkable town centers. 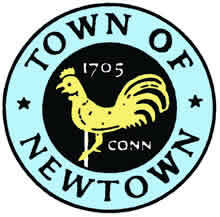 The town is also served by the Friends of Newtown Seniors. The mission of the Friends of Newtown Seniors is to provide advocacy and services to Newtown seniors (those 60+ who reside in Newtown). This will be accomplished in two complementary ways: through new initiatives conceived and enveloped by its board of directors and by partnering with various non-profit, for-profit, governmental, political, and religious organizations serving the Newtown senior population.